Sqreen provides Le Monde with rich visibility and actionable insights into security events within their applications, giving them everything they need to improve their application security and their capabilities as a team. Ability to sleep through the night, as Sqreen blocks attacks that used to trigger late night application exception alerts in their alerting tool. Le Monde Group is a French media group that includes publications like Le Monde, one of the largest and most well respected newspapers in the world, and L’Obs, a widely circulated French weekly. As their online presence and readership has grown with the rise of online news, their position as a target for attacks, and their need for security, has grown as well. Le Monde Group serves over 600TB of bandwidth every month to meet their traffic needs. A crucial element for them is their ability to serve dynamic pages and deliver rapid performance for each visitor they have. By designing their platform for performance, they had initially made some tradeoffs on security. This left them with little visibility into their application security and an unclear path forward, with only the CTO dedicated to security matters. Given their need for delivering dynamic pages quickly to users across multiple platforms, they realized they needed in-application protection for their backend, rather than trying to secure their application from the network level. With the understanding that they needed to have visibility into their attacks and the ability to stop them, Le Monde Group began looking for solutions. Their ideal security solution must work with backend origin servers, have minimal performance impact, and be something that people of all levels of security expertise could use. They examined several solutions, but found them to be either too complex to work with or to be missing key functionalities. Then they found Sqreen. Le Monde Group initially implemented Sqreen on their PHP applications in L’Obs, and that very week, the value jumped out to them. On the Friday after installing Sqreen, they got what looked like a standard exception in PagerDuty. Nothing that stood out. They got ones like that all the time. At the same time, they got an alert from Sqreen that notified them that they were being targeted for an attack. The CTO jumped up and verified what was happening in Sqreen. Attackers were indeed targeting them at that very moment. Sqreen helped them uncover the vulnerability linked to that particular exception using remediation stack traces. Once they had identified the vulnerability, they turned on Sqreen’s blocking mode to block all attacks related to it in the future. No more being woken up in the middle of the night to unclear exception alerts. 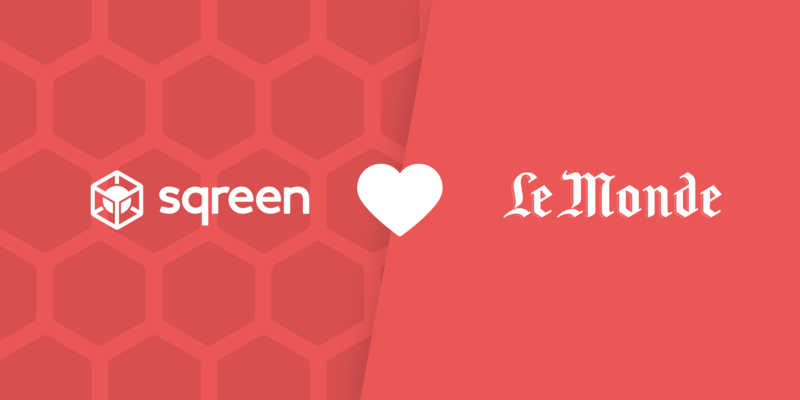 After seeing initial success with L’Obs, they installed Sqreen on their applications in Le Monde. With Sqreen, Le Monde Group now understands the frequency and types of attacks that touch their applications across all publications. They get not only visibility into what’s happening, but a clear path forward to addressing security issues. For self-professed “security beginners,” this gives Groupe Le Monde not only coverage for their needs today, but also a core for them to build upon and scale in the future. 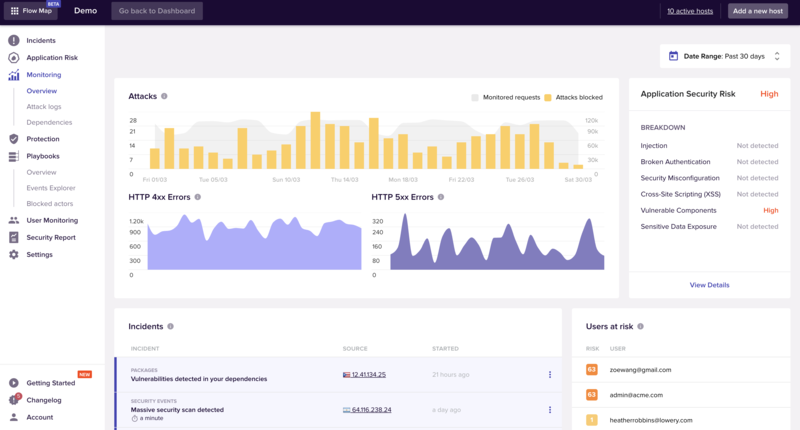 To know more about Sqreen, visit our product page or request a demo for a live presentation to learn how Sqreen can help you protect your apps, APIs or microservices. Get continuous security monitoring and protection for your apps and scale your security.